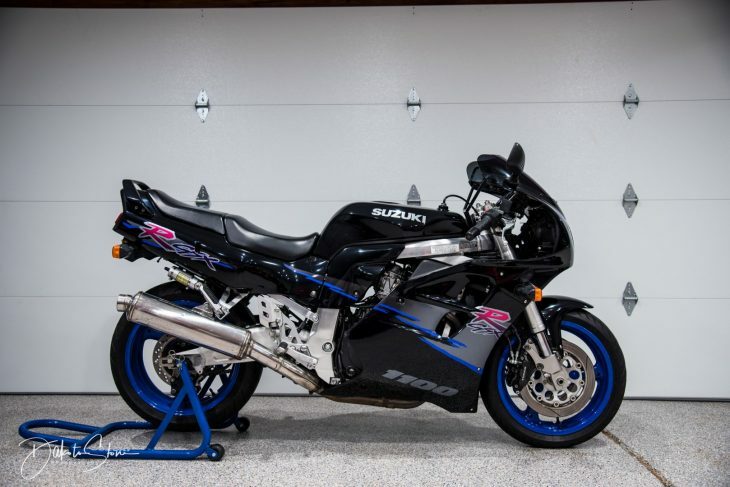 Suzuki’s GSX-R750 revolutionized the sportbike game by bringing racebike handling and technology to the masses. 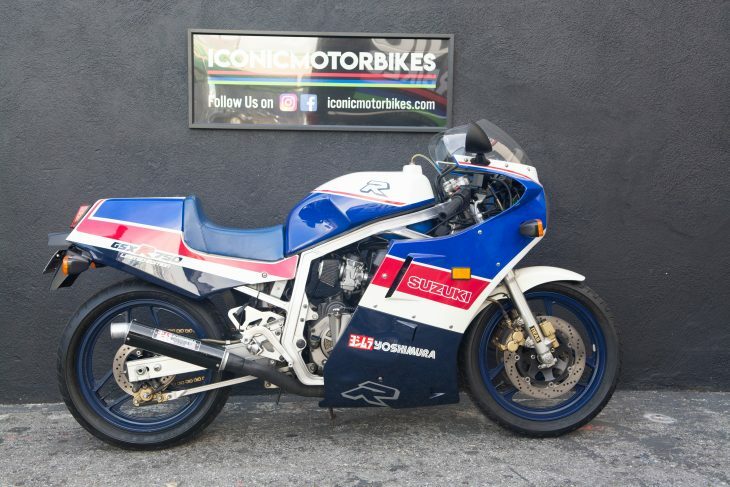 There were obviously plenty of other sportbikes available at the time, like Honda’s VF1000F and Kawasaki’s GPz900R, but none seemed to capture the style of the era quite as well the Suzuki, with its endurance-racing bodywork and striking blue-and-white graphics. 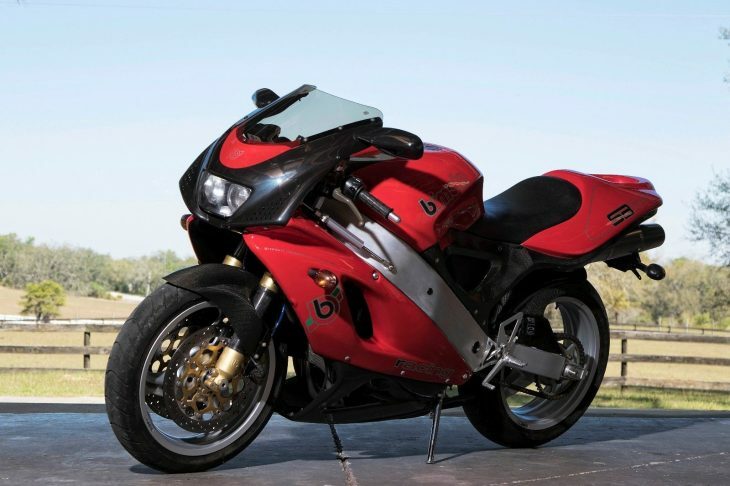 It didn’t hurt that it had the performance to back up the race-bred style. 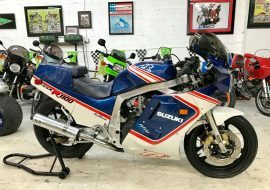 Interestingly for a cutting-edge sportbike, the original "oil-boiler" GSX-R's engine almost seems like it was a step backwards, as it was not water-cooled. 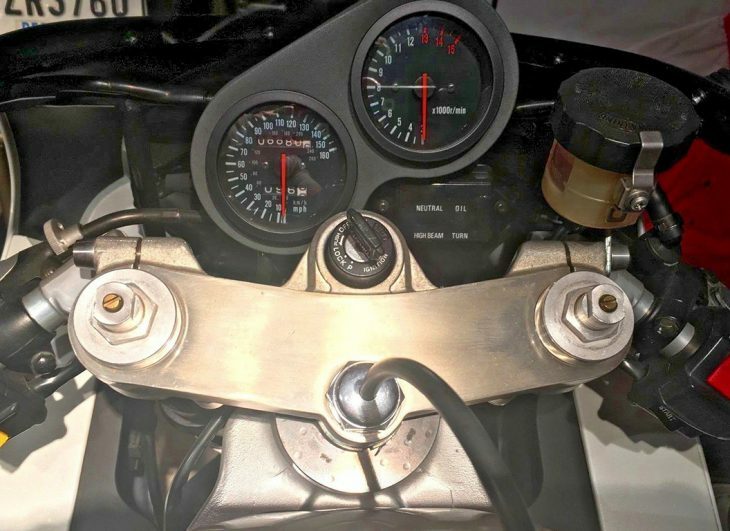 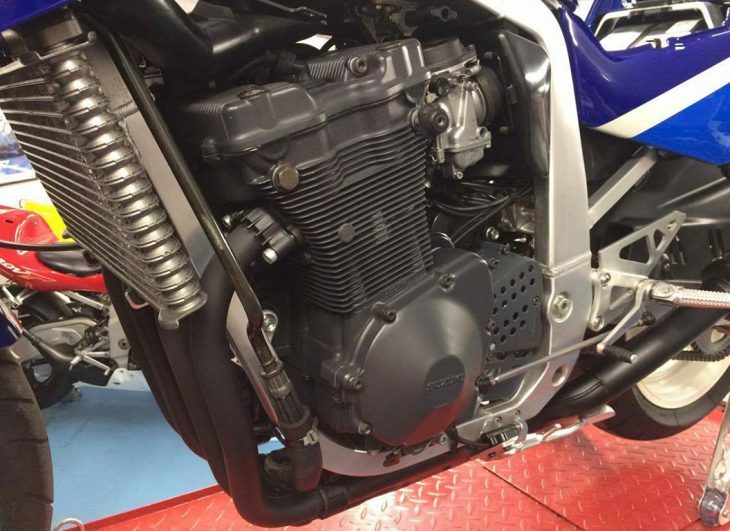 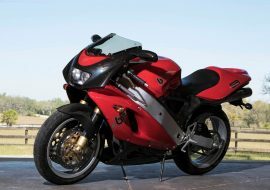 Instead, the GSX-R’s designers took a page out of Colin Chapman’s book, and used an oil and air-cooling system to save both weight and complexity. 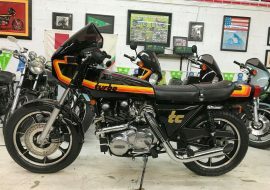 Luckily, they left out Lotus’ factory-installed mechanical and electrical gremlins… Suzuki’s Advanced Cooling System or “SACS” used a high-capacity oil pump and a large oil-cooler to do the same job as a radiator, and the package made 112hp in the second-generation version seen here. 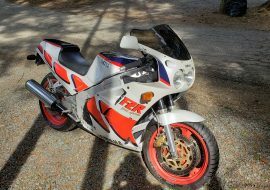 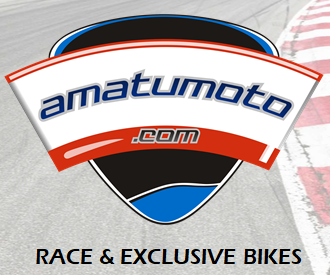 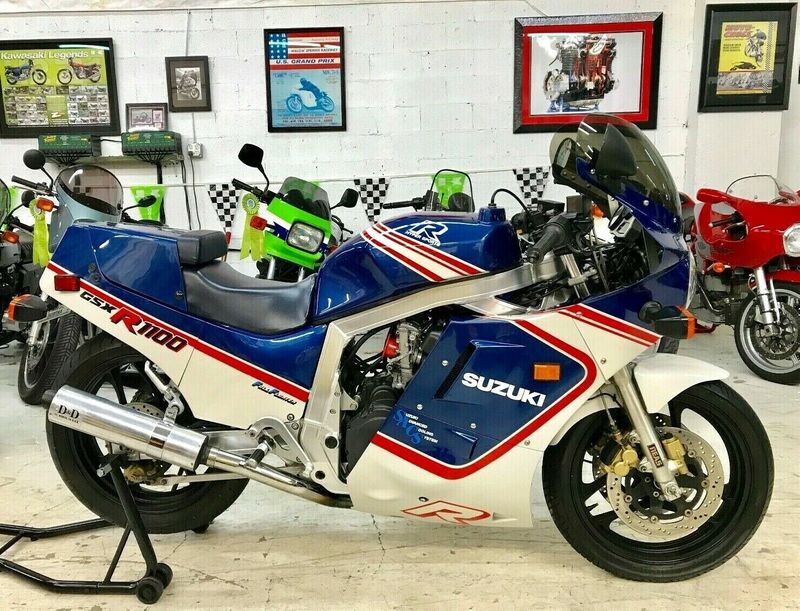 The second-generation of the GSX-R was introduced in 1988 and affectionately known as the “Slingshot,” owing to the unusual design of the semi-flat slide Mikuni BST36SS carburetors. 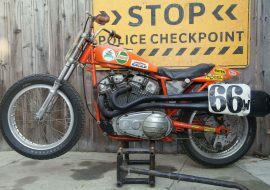 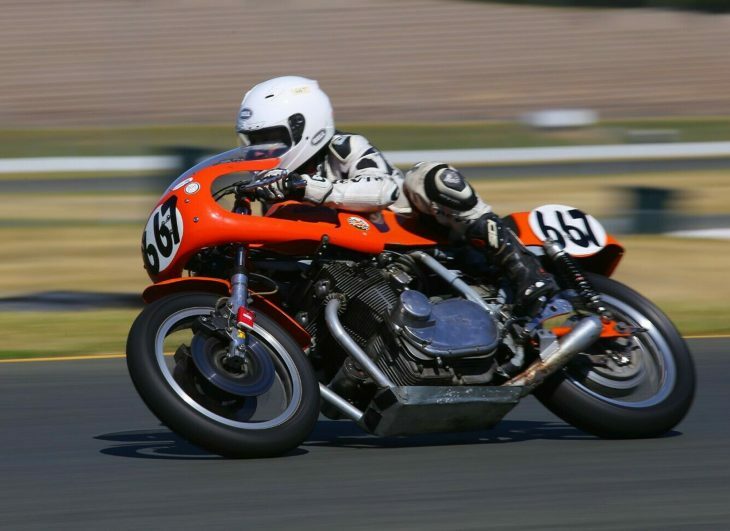 The Slingshot actually had one less cc than the original bike, because of a more oversquare bore and stroke that resulted in 748cc. 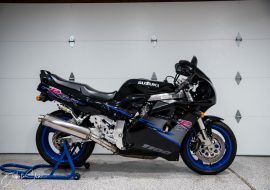 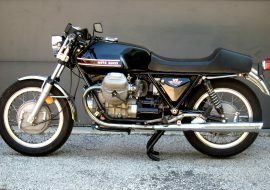 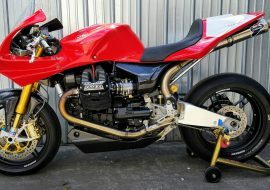 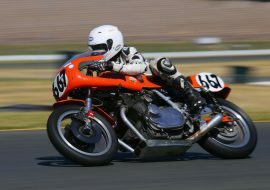 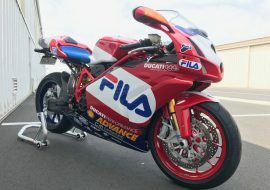 The updated engine could rev higher and made more power, but naturally less torque, and increased weight meant some customers weren’t especially happy about the change: the extremely rare homologation GSX-R750RK actually switched back to the original bore and stroke dimensions to restore some of the lost torque at the request of race teams. 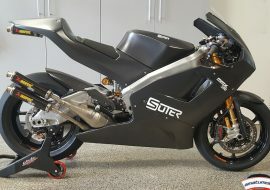 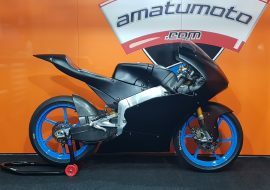 The new version kept the oil-cooling though, and the perimeter aluminum frame, along with revised styling, suspension, and 17” wheels that make it look and perform more like a modern motorcycle. 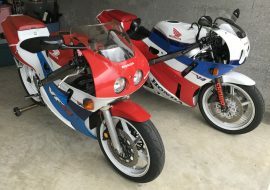 I’m not generally a huge fan of Japanese sportbikes, but the second-generation GSX-R750 and 1100 are on my short list of favorite motorcycles. 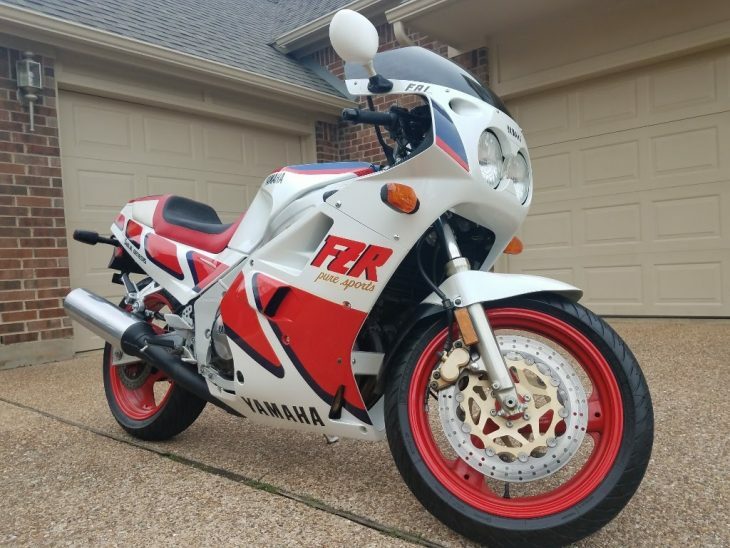 Okay, it’s technically a pretty long list, but this is still a really cool bike. 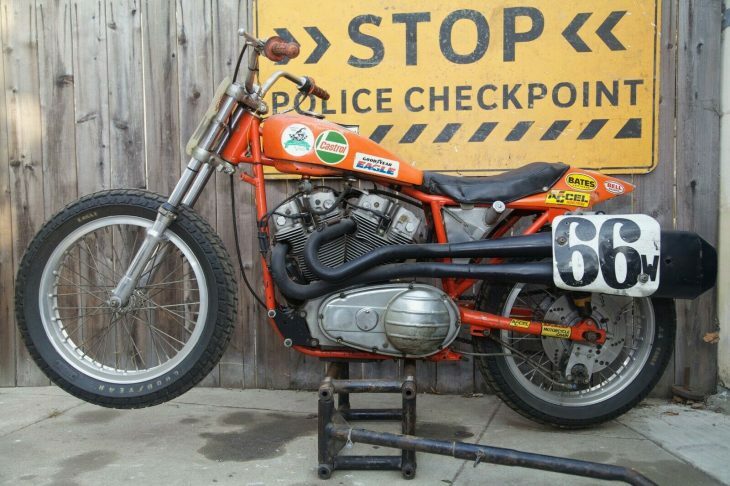 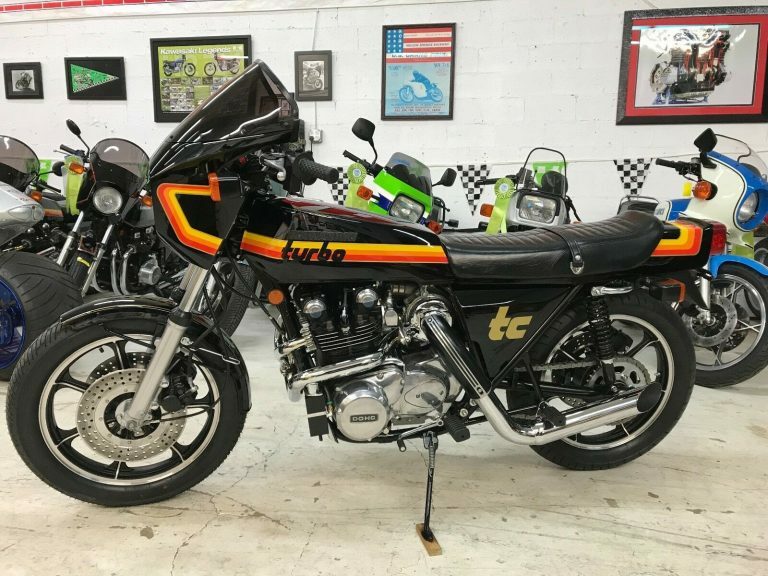 I don't especially like the heavy four-into-two exhaust system seen here, but it is original and should add to the value for collectors. 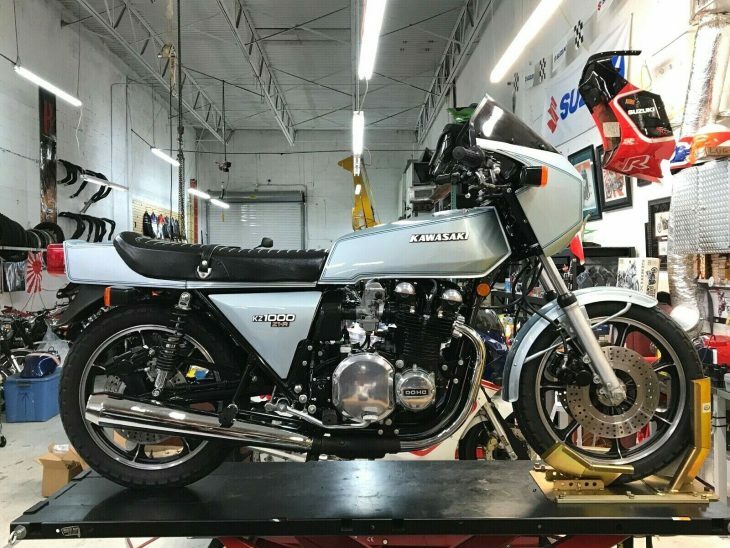 "Showroom condition" is an overused term and is often applied to bikes that are very nice, but far from the way they rolled off the dealer floor. 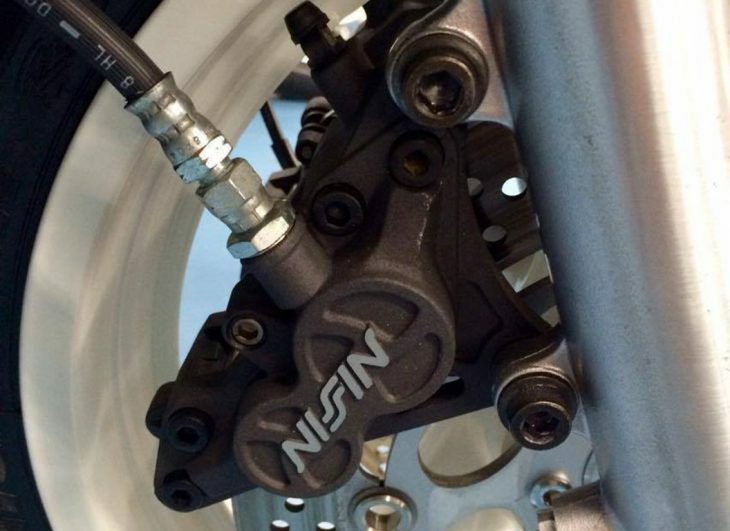 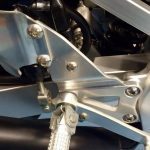 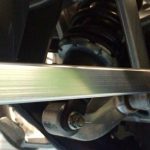 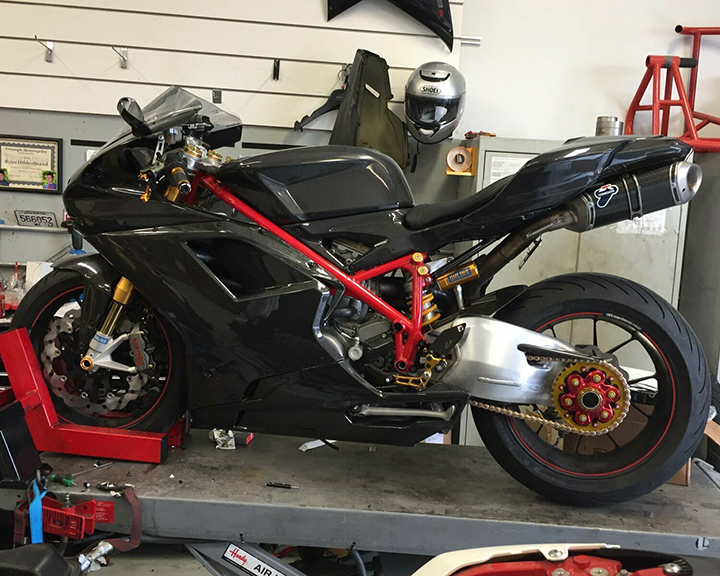 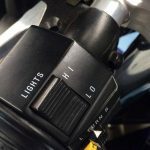 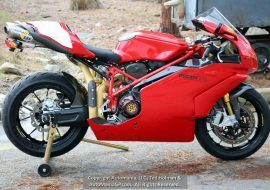 It shouldn't be subjective: aftermarket turn signals, exhausts, and even period-correct performance-upgrades technically disqualify a bike. 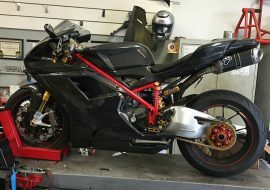 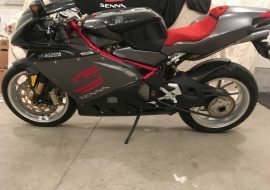 But as a non-expert on Gixxers, this one looks like it might fit the description, or at least come pretty close. 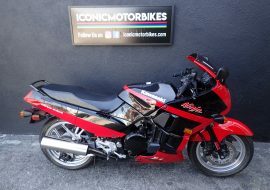 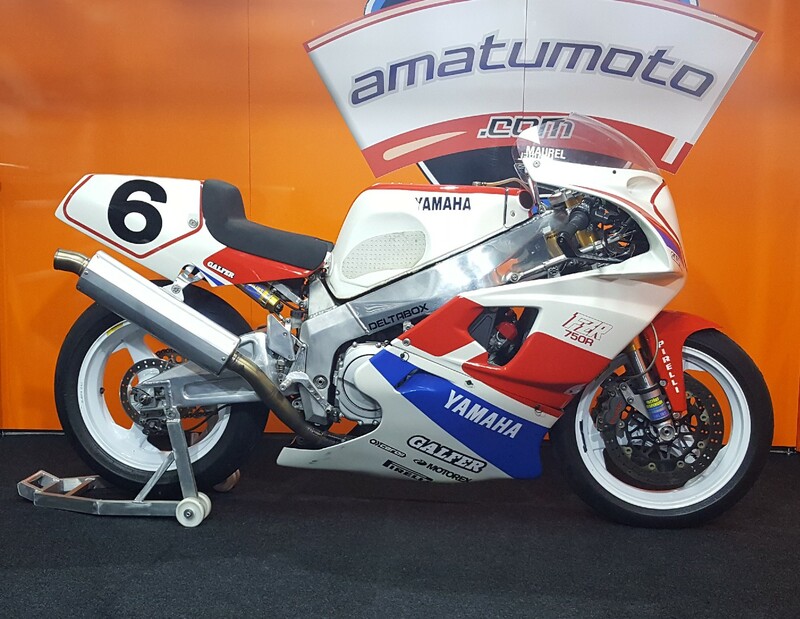 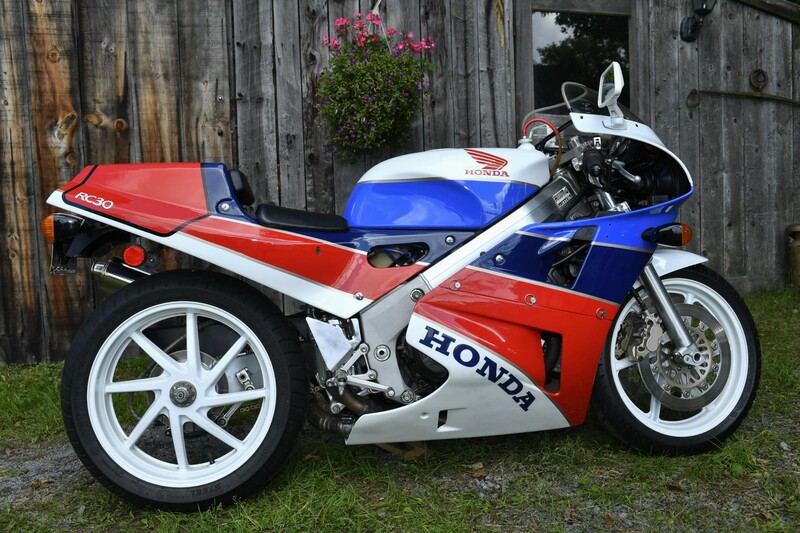 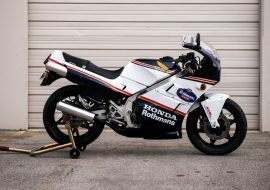 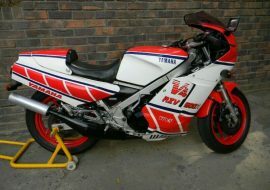 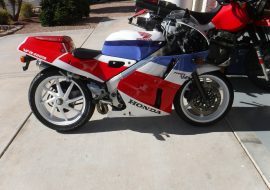 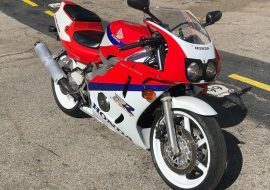 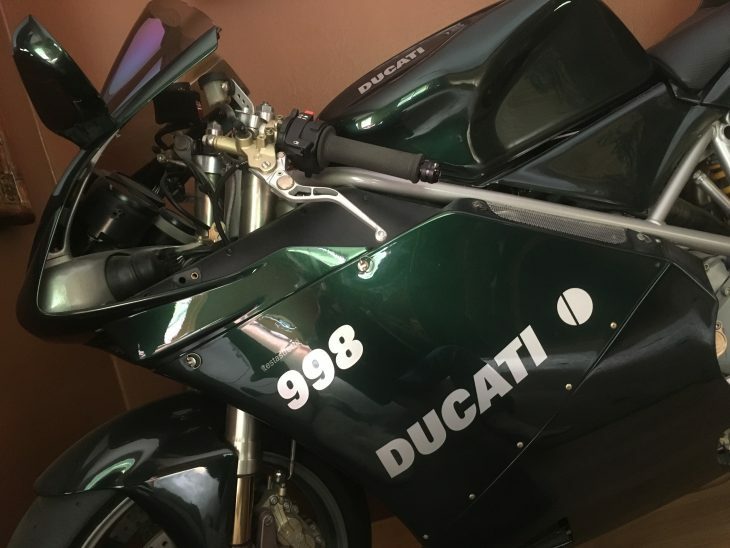 Rare opportunity to obtain an original 89 GSX-R750 in mint condition with original exhausts and components. 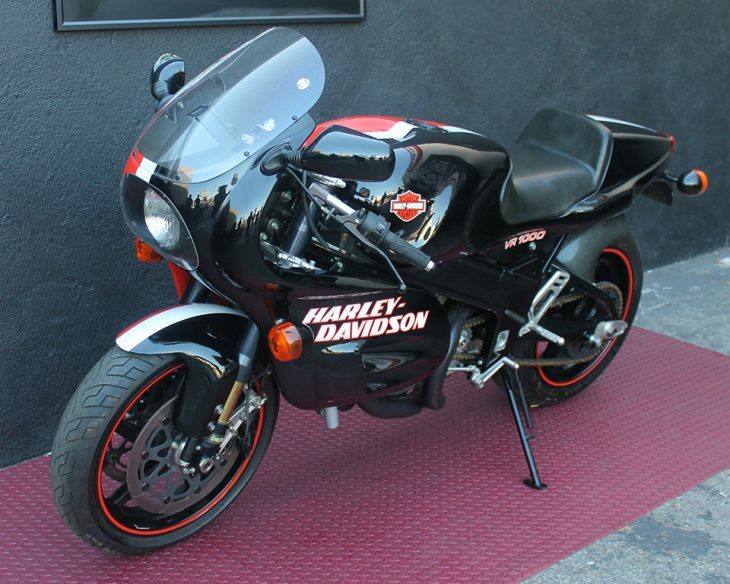 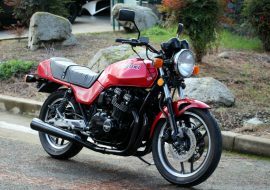 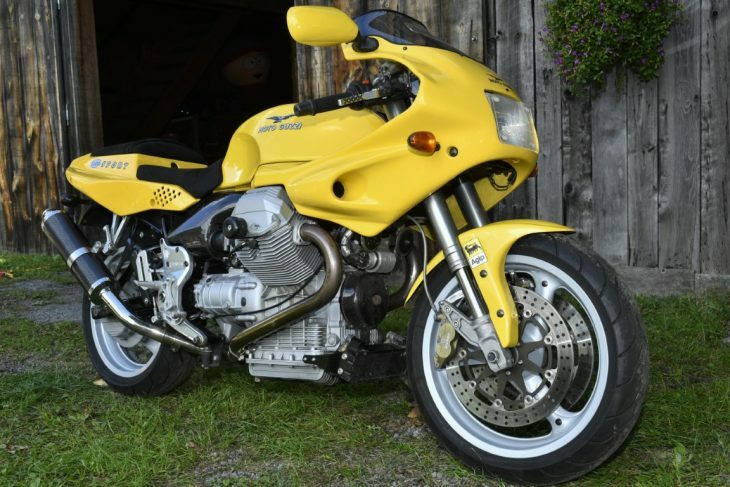 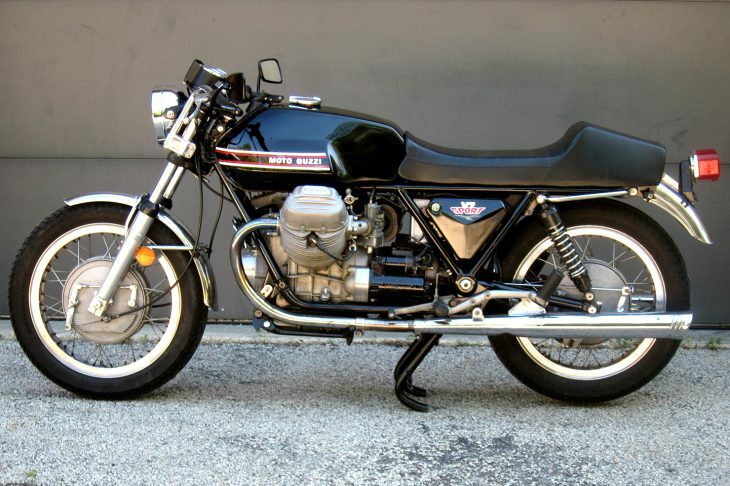 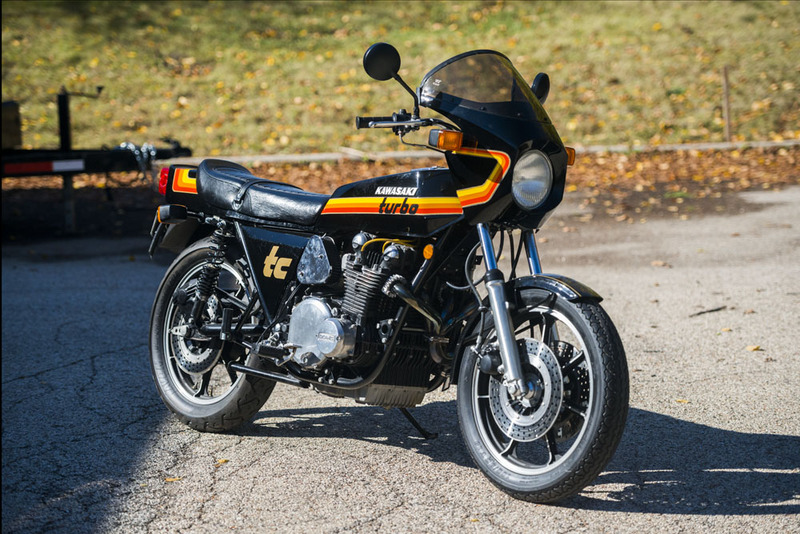 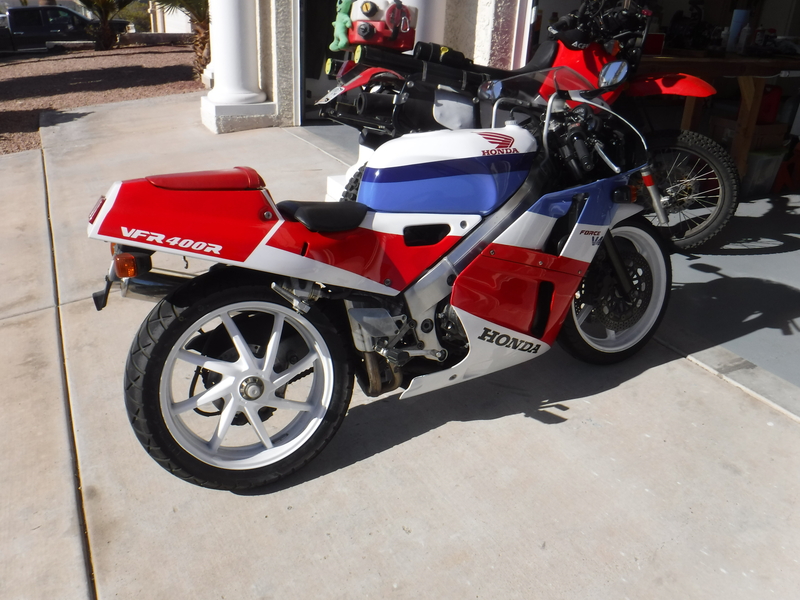 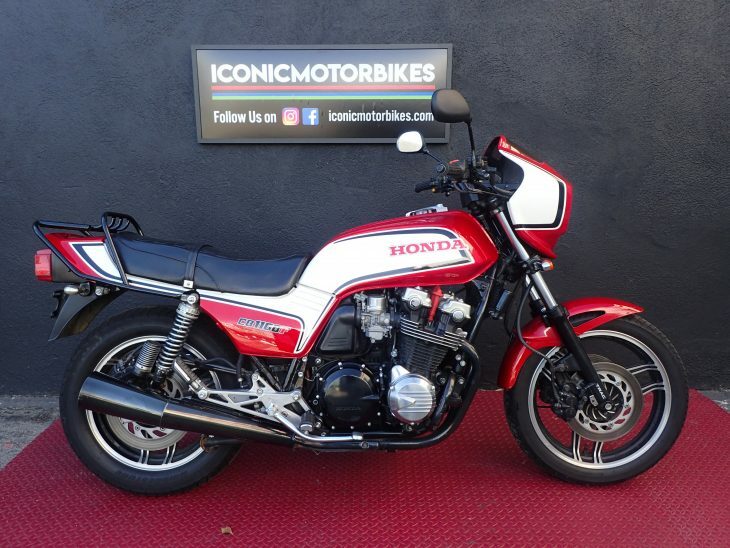 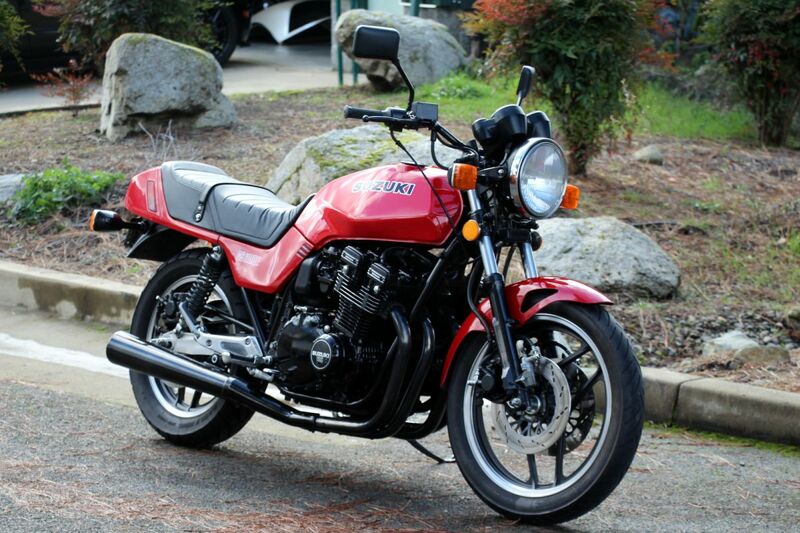 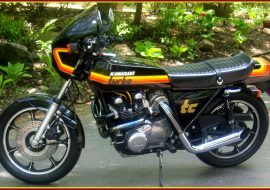 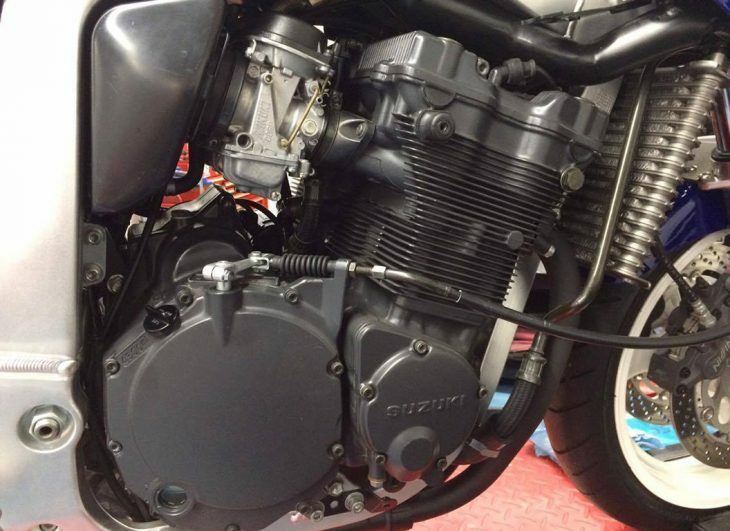 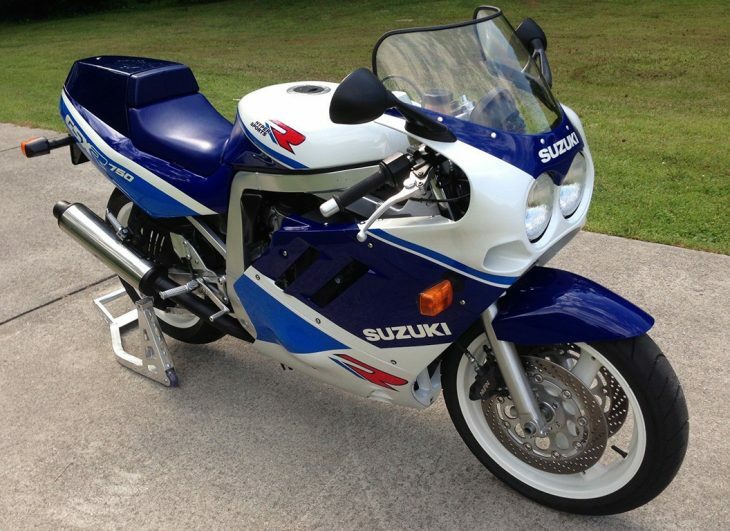 Originally Purchased from local Suzuki Service Manager and collector, maintained in a climate-controlled garage. 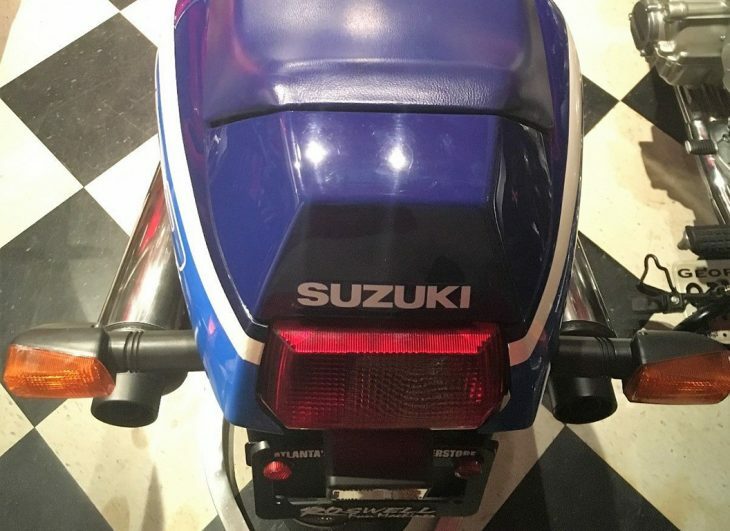 One small scratch on the rear left tailpiece otherwise in excellent condition throughout. 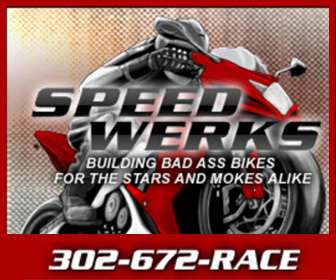 Buyer responsible for shipping arrangements and costs. 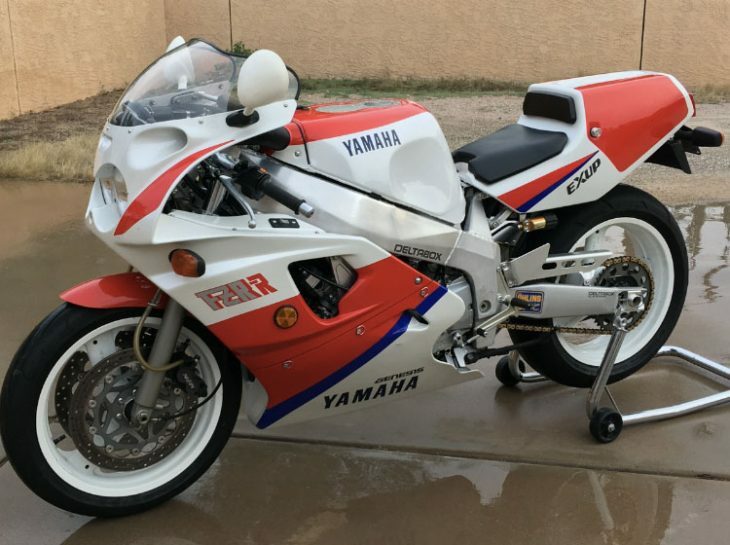 Please do not bid if you do not intend to purchase. 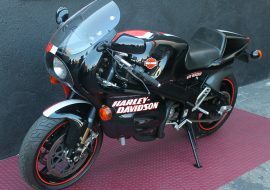 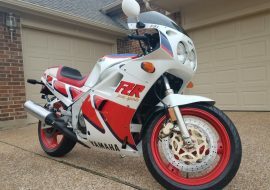 The curse of the "everyman sportbike" was the very reliability and affordability that made them so ubiquitous: most owners didn't bother to cherish them as they would a more exotic, or maybe more fragile machine, and they were ridden, flogged mercilessly, and discarded when they were worn out or when a new generation was introduced, then "customized" horribly by their second or third owners as the obsolete version became more affordable. 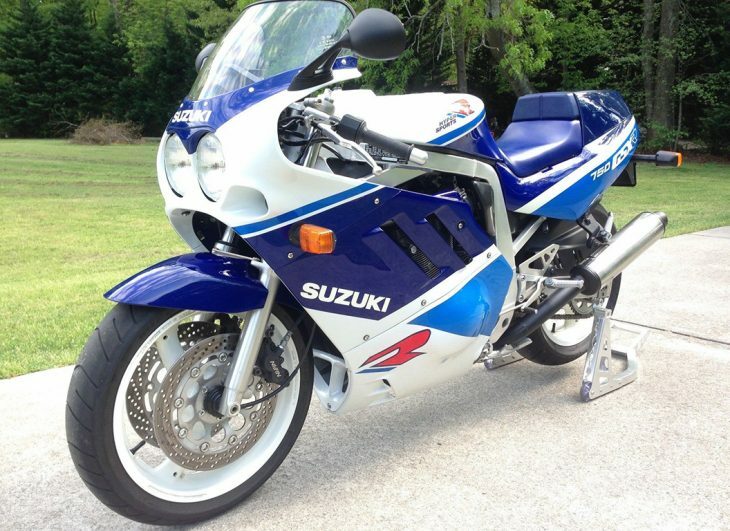 These days, clean examples of Suzuki's oil-cooled GSX-Rs are quickly snapped up by collectors. 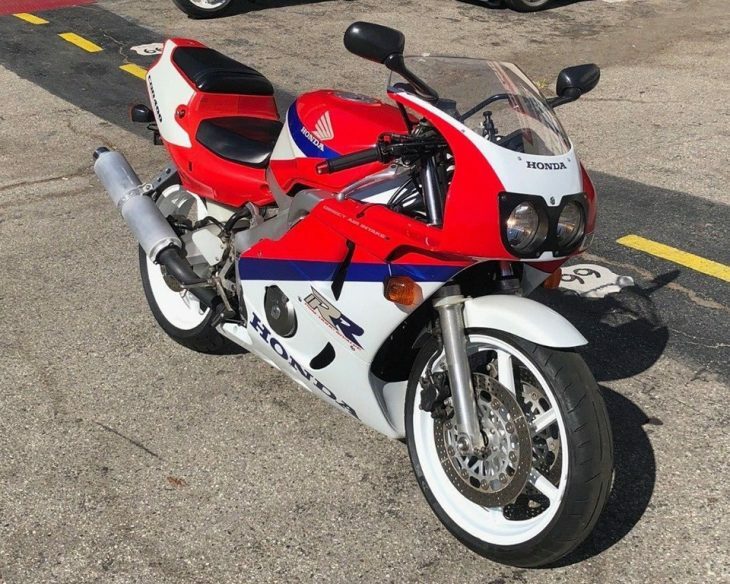 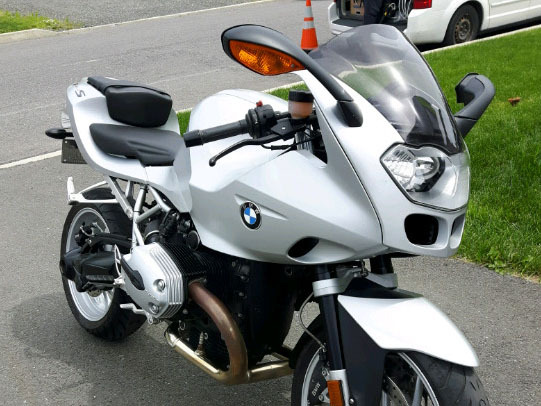 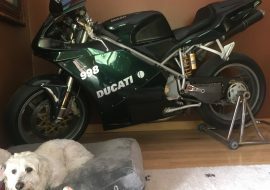 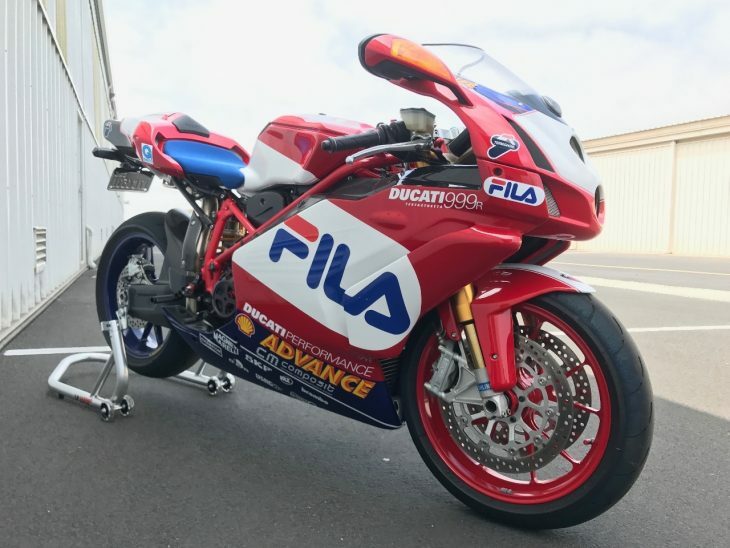 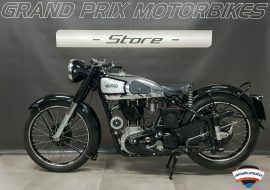 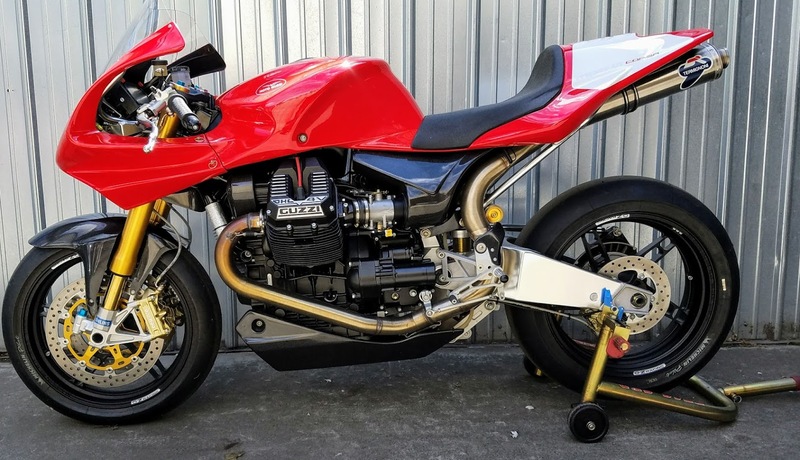 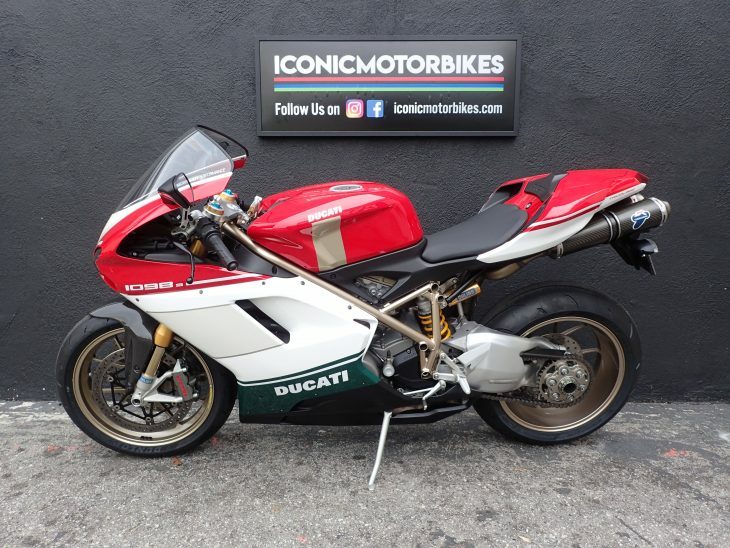 Just a few years ago, you could get one of these for a few grand, but prices are shooting up quickly, especially for nice, low-mileage bikes like this one. 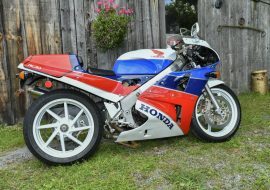 Don't scoff too loudly at the $9,500 Buy It Now price, since bidding is already up above $7,000 with plenty of time left on the auction. 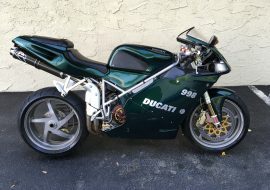 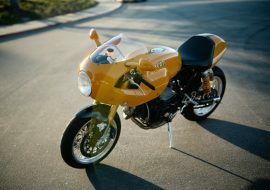 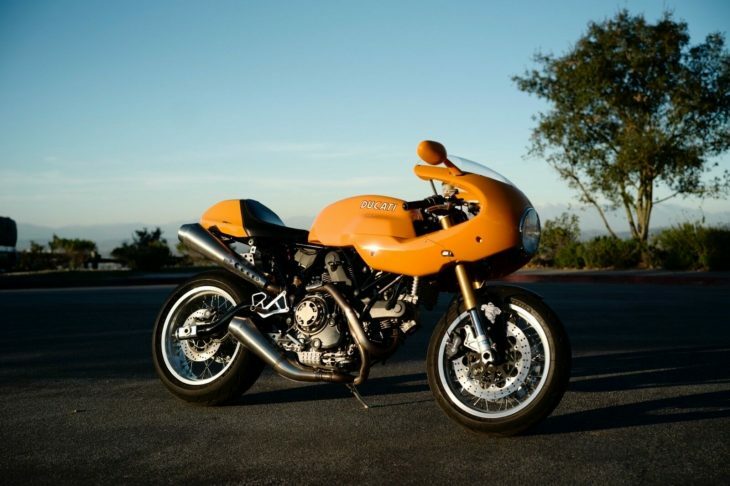 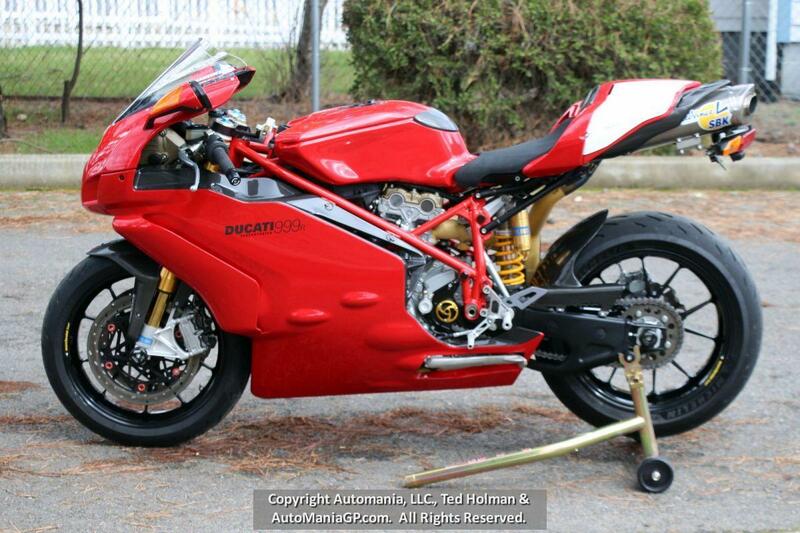 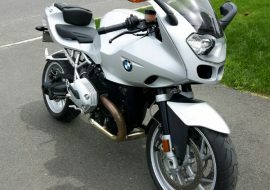 Looks like it sold at $9500, which is as steep as I’ve seen a second gen Gixxer. 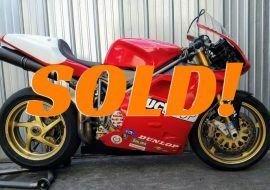 Congrats to the seller and to buyer.